• Illustrates all the steps in preparing qualitative and quantitative literature reviews. • Emphasizes topic selection, locating literature, and avoiding major pitfalls in evaluating and synthesizing literature. • Shows how to improve literature reviews through the judicious inclusion of statistical results found in the literature. • Provides easy-to-follow advice on how to avoid misrepresenting the results of published research in literature reviews. 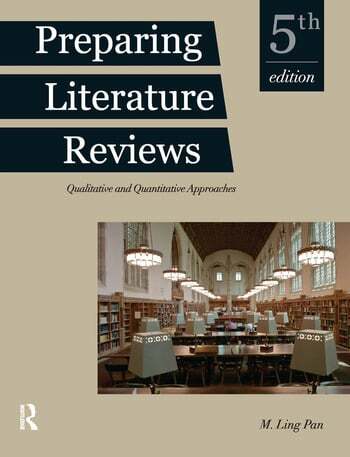 • The numerous examples throughout the text and the nine model literature reviews clarify the process of following the guidelines for writing solid, state-of-the-art literature reviews. • Shows students how to blend qualitative and quantitative approaches to preparing literature reviews without being overly mathematical. • Two chapters present clear explanations of how to conduct meta-analyses. • All examples have been updated to ensure consistency with the sixth edition of the Publication Manual of the American Psychological Association and the fourth edition of the American Sociological Association’s Style Guide.